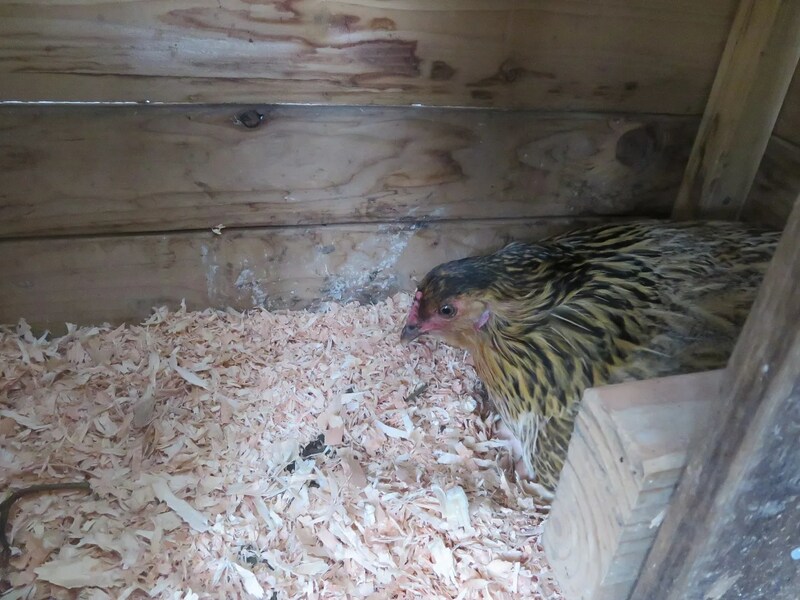 I’ve been waiting for my reliably broody hen, Josie, to go broody because I want to hatch some frizzle cochins. Surprise surprise, it was her adopted daughter, Boudica, who decided she wanted to start a family. Booty (as I call her) is just turning a year old, and has never been broody before. 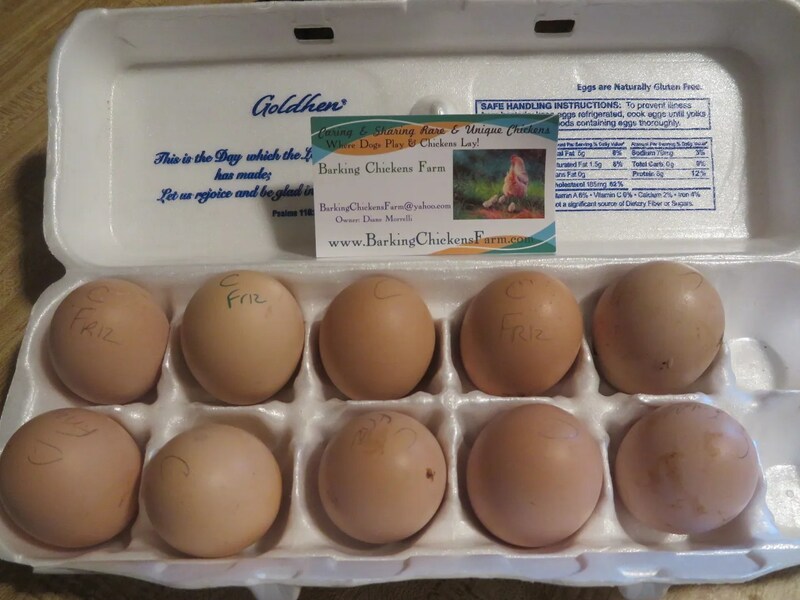 I was a little nervous she wouldn’t have the commitment to carry through, but I went ahead and ordered the eggs for her. They came via the post office – and my mail carrier was sweet enough to make a special trip by my house at the beginning of her route to drop them off! 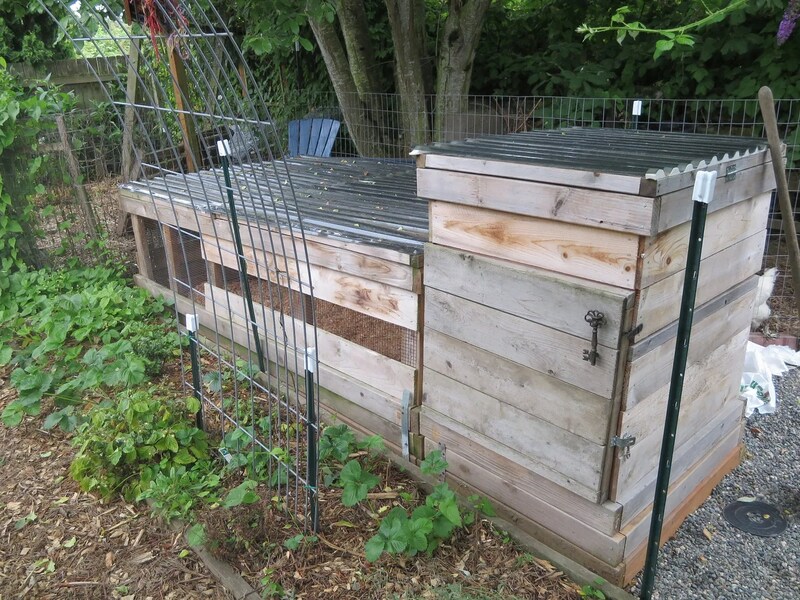 The former duck house has been shifted into the chicken yard, and turned into the Broody Barn. I was afraid Booty would insist on trying to return to her old nest in the chicken coop, but I think she is smart enough to appreciate the peace and quiet. 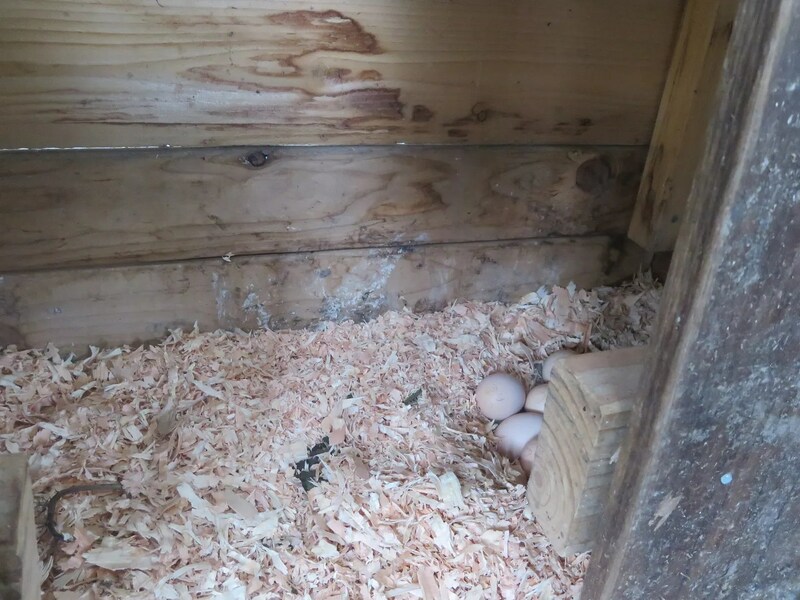 I am able to leave the Broody Barn’s door open, so she can come and go as she pleases…and she does, always returning faithfully to her new nest. 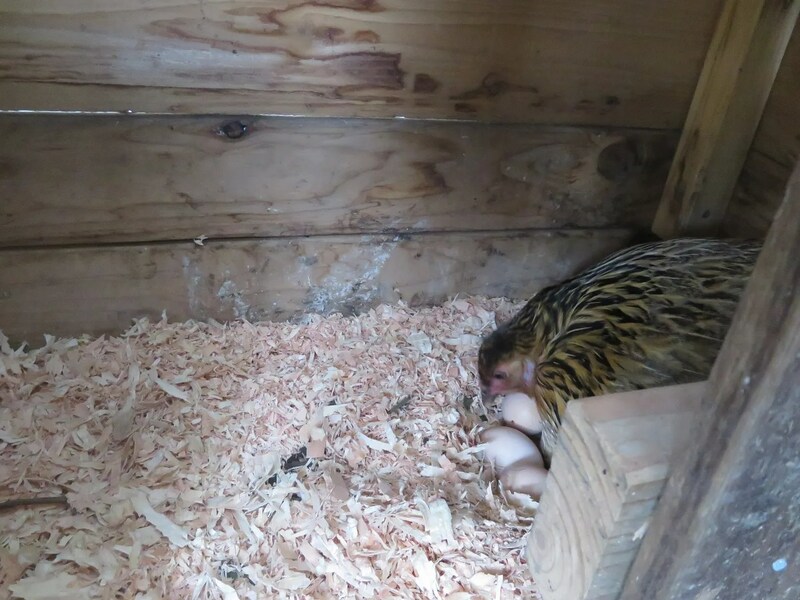 She has eight eggs, and although I really only want one new hen for my flock, I hope she has a good hatch rate. It would be so much fun to see her care for a bunch of babies! She’s a sweet girl. Although she growls at the other hens if they come near, she lets me raise her up to check on the eggs whenever I want without a fuss. She’s got about a week left to go. Fingers crossed, everyone! 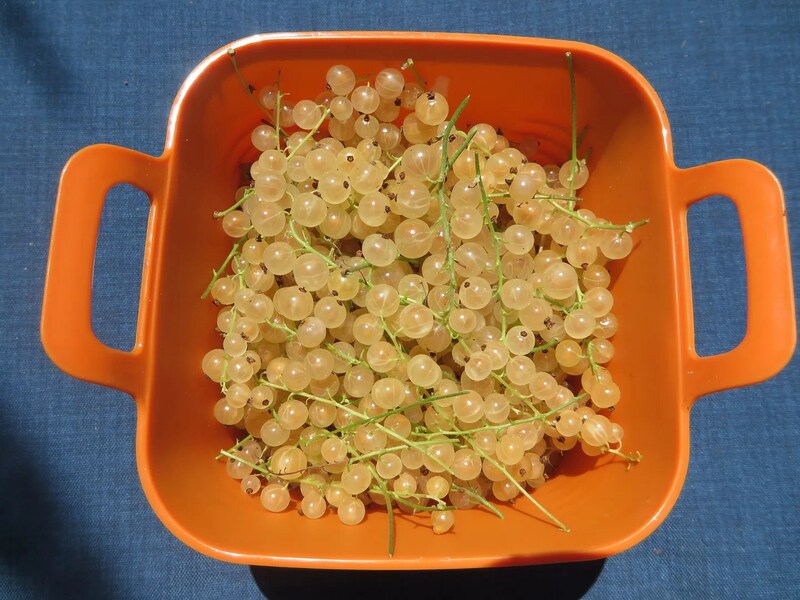 In other garden news, I’ve been harvesting lots of currants. Pink, red, black, and these gorgeous white ones. I’m making them into jelly. One batch didn’t set, but that’s ok. I labeled it “Currant Syrup” and will use it for flavoring kefir and yogurt! 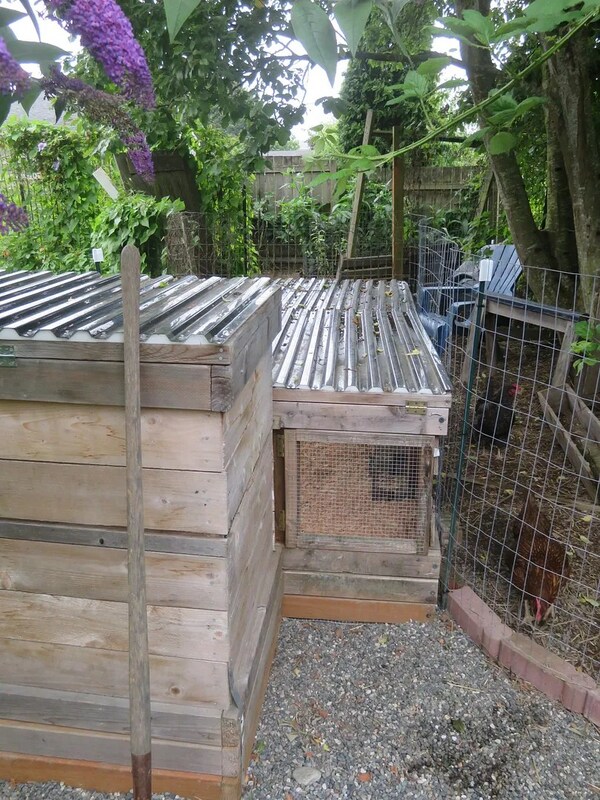 This entry was posted in chickens, Gardening and tagged broody hen, chickens. Bookmark the permalink.